AWS is a cash cow for Amazon. The services are shaking up the computing world in the same way that Amazon is changing America’s retail space. By pricing its cloud products extremely cheaply, Amazon is providing affordable and scalable services to everyone from the newest start-up to a Fortune 500 company. 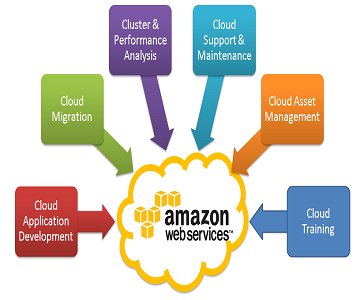 Why you need to learn “Amazon Web Services(AWS)” ? it is better to learn well this subject and be a pioneer, so you will have a better chances of going up the career ladder. If it is for freshers, they will have a great career to start with. Our trainer Raj is a AWS certified Architect and is having 12+ years industry experience. Look for the quality, credibility of the trainer/ Institute before you finalize on your career investment. Who are eligible/ Fit for this Course ? What is DEVOPS in cloud? This entry was posted in SERVICES and tagged Amazon Web Services Training in Bangalore, AWS Consulting, AWS Real Time Projects, AWS Training in Bangalore. Bookmark the permalink.